Correr Museum: book your tickets now! WHY VISIT THE CORRER MUSEUM? The Correr Museum is made up of several connecting rooms and corridors in which the archaeological finds and other artistic testimonies of the museum are exhibited. On the first floor are the neoclassical-style rooms designed in the first decades of the 19th century by Lorenzo Santi and decorated by Giuseppe Borsato. In the apartments that were the residence of the Empress Sissi are different functional rooms to the life of the court: the weekly lunches lounge, the bathroom, the studio, the auditorium, the throne room, the bedroom and Sissi’s dressing table. The rooms of the Wunderkammer are also here with paintings and objects of sacred art. On the other hand, the New Attorneys offices houses several rooms that represent what the Venetian civilization was. On the second floor, the rooms meander through the Photo Gallery with the legacy left by the noble Correr and enriched with subsequent donations, the installation of the Photo Gallery was entrusted to Carlo Scarpa at the end of the 50s. Inside the Correr Museum are also the engraving and drawing’s cabinet and a large numismatic collection that is always derived from the collections of Theodore Correr. In St. Mark's Square, where the church of San Geminiano once stood, the Napoleonic Wing and the New Attorney offices were built. 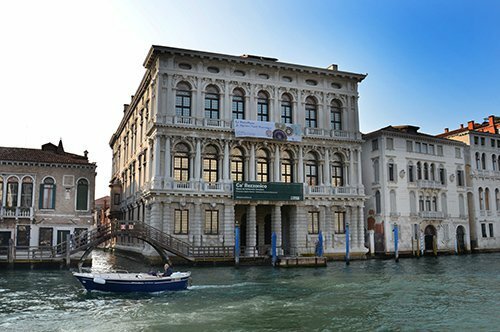 The Correr Museum was born in 1830, the year of the death of Correr a Venetian nobleman. The museum expansion, which housed the Correr collection was gradually enriched and became the Correr Museum. Teodoro Correr dedicated his life to the collection of all kinds of artistic works, from paintings to statues, from medals to books. His will, however, was to make his collections public through a museum, so he donated both the works and the family building that contained them. WHAT IS THE CORRER MUSEUM NOWADAYS? 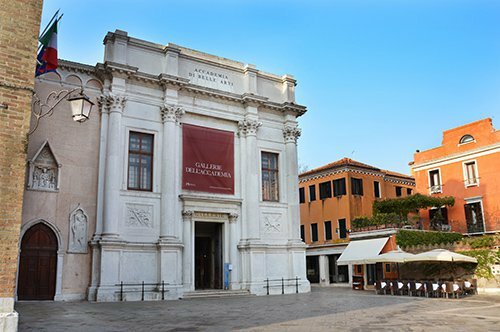 The Correr Museum is today a place of art and history of Venice that contains an important collection that includes a rich art gallery of some sculptures by Canova and works of ancient art. The first part of the museum, which takes place in the Napoleonic wing, is divided into several spaces: the anteroom, the Napoleonic loggia, the ballroom, the throne room and the dining room. Always in the Napoleonic Wing are the rooms where the famous Sissi, Empress of Austria, lived during her stay in Venice. In the part of the New Attorneys offices, you can find in the exhibitions of the different rooms, the aspects of the Venetian civilization and always in this part it is possible to visit the "Wunderkammer" path that exhibits more than three hundred works of Venetian civic collections and neoclassical halls with the Canoviana collection where the restored works of Antonio Canova are exhibited. Did you know that the sculptor Antonio Canova was one of the greatest exponents of neoclassicism in Europe? Born in Possagno in 1757, died in Venice in 1822, he was also in Rome and Paris, where he received commissions from the best patrons of the time. He was a great supporter of the ideas of Johann J. Winckelmann, who said that the beautiful ideals were embodied in the ancient Greek sculptures, in the integrity of a language that expresses balance, proportions, simplicity and grace. Did you know that the German term Wunderkammer can be translated into Italian as "camera delle meraviglie” (collection of wonders)? It usually describes the private rooms that collectors used between the 16th and 18th centuries as a place to store particularly fascinating objects. 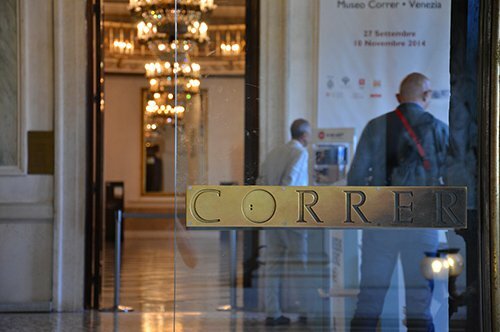 HOW TO VISIT THE CORRER MUSEUM? 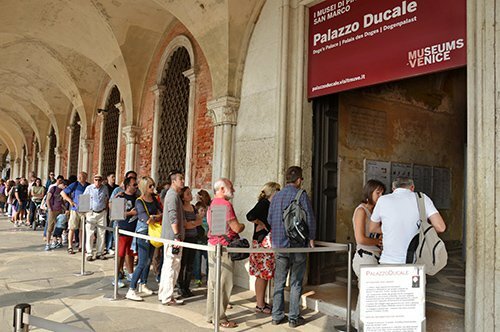 The priority entry to the Correr Museum is included in two very advantageous cumulative entries: the Pass for the Museums of St. Mark's Square (which includes the Correr Museum, the Doge's Palace, the Marciana Library and the Archaeological Museum) and the Venice Museum Pass (which includes 11 museums in Venice). 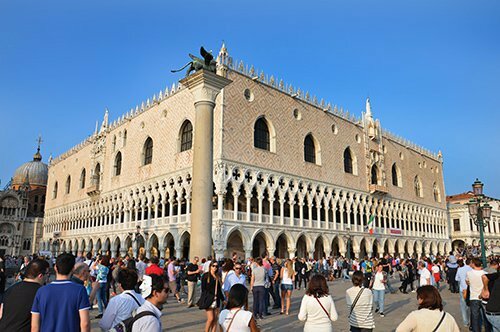 The Correr Museum is located in the St. Mark's Square and is part of the St. Mark's Square Museums that can be visited next to the Civic Museums of Venice, with a single entrance from the Venice Museum Pass. In the same square you can visit the St. Mark’s Basilica, which is the main church of Venice, the Clock Tower, the National Archaeological Museum located in the New Procuracy and, adjacent to the square, the Marciana Library, designed by Sansovino and which is currently for public consultation and the Doge’s Palace, seat of the Doge and connected to prisons through the famous Bridge of Sighs. 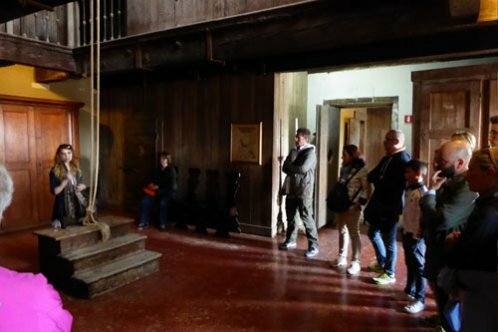 Inside the Palace it is possible to take the tour of the Secret Itineraries of the Doge’s Palace. With the help of the Map of Venice, away from St. Mark's Square, you can visit other buildings and symbolic places of the city. Going up the Grand Canal, on the opposite side of the squeare, you will first find the Accademia Galleries of Venice that house a very well preserved collection of paintings by Venetian artists, then you can visit, always staying on this side of the Canal, Ca' Rezzonico and the House of Carlo Goldoni, the famous Venetian playwright. 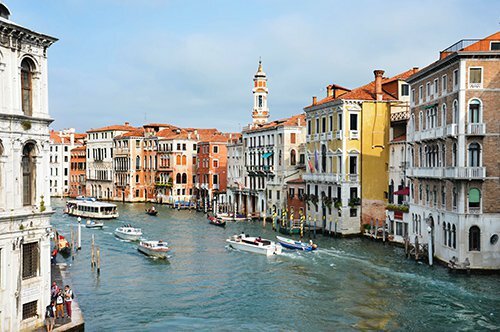 Moving on, you will pass through the characteristic Rialto Bridge to reach the Ca' d'Oro, which is practically in front of the Ca' Pesaro, home of the International Gallery of Modern Art. 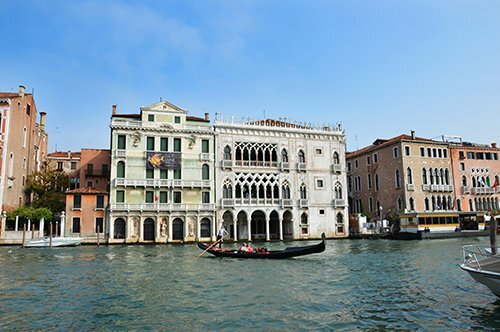 Another museum that you can include in your visit to the city of the lagoon is inside the Mocenigo Palace that houses the Study Centre for the History of Textiles and Costumes. 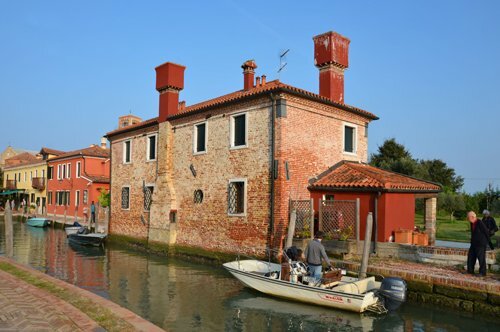 This museum is part of the Civic Museums of Venice included in the Venice Museum Pass, as well as the Museum of Natural History and the museums in the three islands of Venice Murano, Burano and Torcello, these are the Glass Museum of Murano and the Lace Museum of Burano. 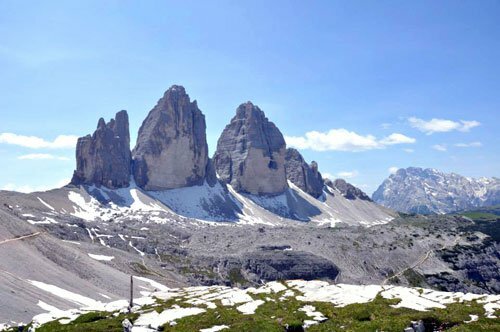 Walking through the city you can follow the path that, within the Venetian streets, leads to the church of Santa Maria Formosa of Renaissance architecture and in the countryside the basilica of SS. 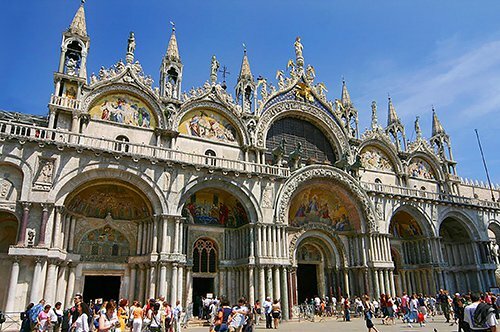 Giovanni and Paolo of homonymous Gothic style, where many Venetian doges are buried.